Preparation: 1. Do research for the attractions and activities. 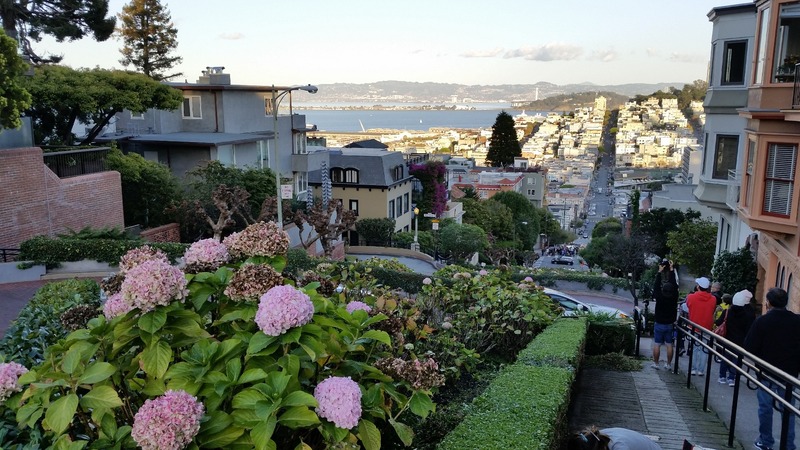 If you only have one day, I think the must-see is Golden Gate Bridge, Fisherman's Wharf, Lombard Street. 2. 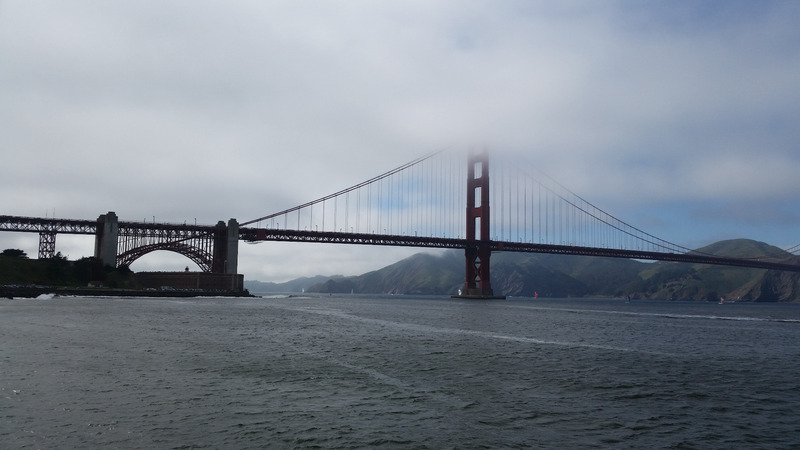 If you have more time, it's worth to try ferry boat to see Sausalito, Angel islands. 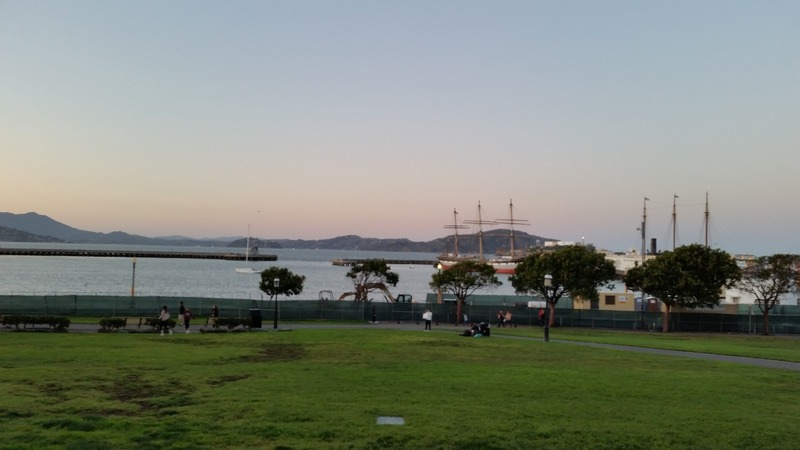 See details in other posts "Golden Gate Bridge Visit", "Fisherman's Wharf in San Francisco". Attractions and activities: 1. 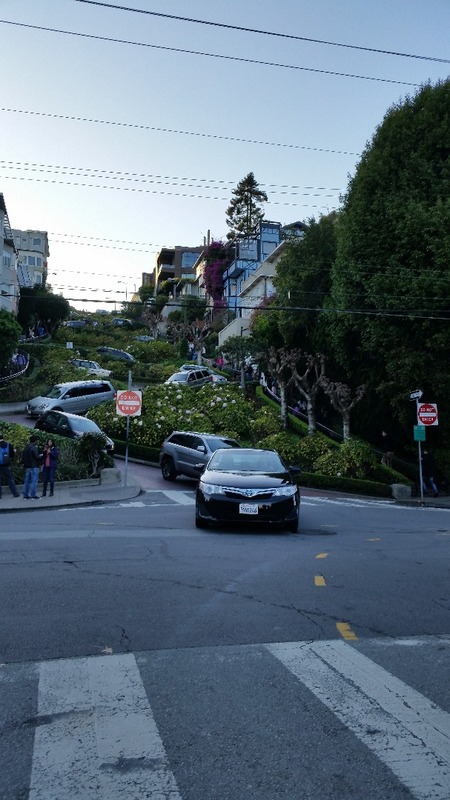 Lombard street: very special steep street with gardens and sharp turns. 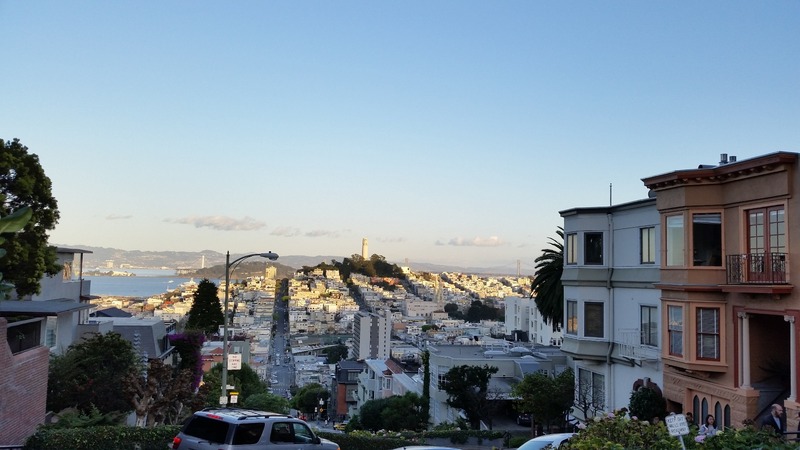 When you reach the peak point, that locates in the intersection of Hyde and Lombard street, you can see the very beautiful view. It's free. Worth to go there. 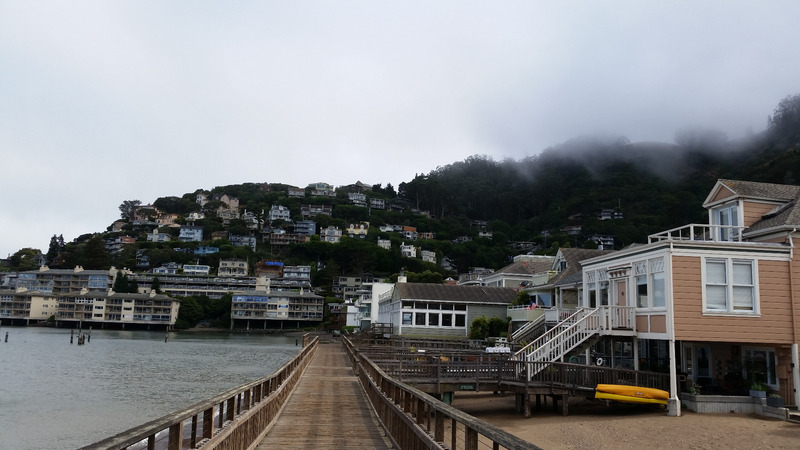 Near the Fisherman's wharf, you can find parking garages around that area. We took Bart and then walk there. 2. Maritime National Historic Park. There is a museum. Free 3. Fisherman's Wharf. Around pier 41, there are many restaurants there. Street artists and bands, live music shows, etc. Dining: If you'd like to have Chinese style food, there is a small Hunan restaurant, named YAN'S Kitchen. The food is really good, inexpensive. For lunch special, about $9. Address: 57 Columbus Avenue, San Francisco, CA 94111 There are also a lot of other restaurants around that area. Some of them are Chinese cuisines. Commute: Parking space is costly and not easy to find if it's a holiday season or other tourism hot season. So do some researches on park garages in advance. 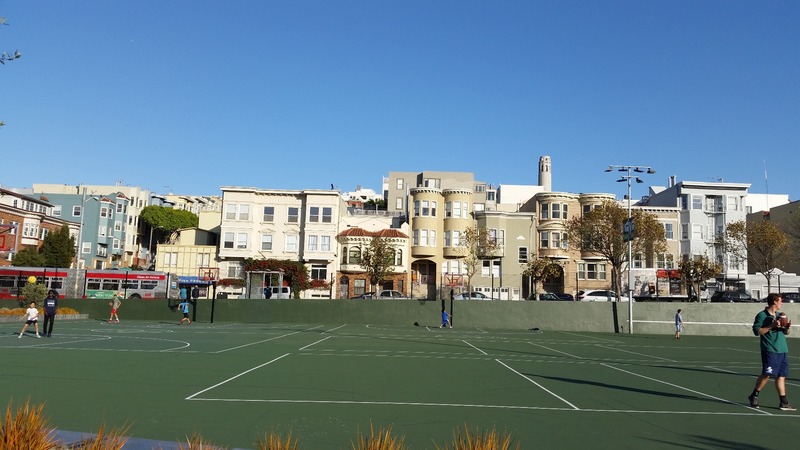 We tried one and it's pretty close to Fisherman's Wharf, not too far from the Lombard Street. Impark parking $20/day, 350 Beach St, San Francisco, CA 94133. Or if you could, take Bart train, then rent bikes or other easy go through transportation tools. Things I wish I had known before: Remember bring Jackets, extra clothes, usually the evening time might be cold. Do not schedule too many activities in one day because moving around in the traffic is not easy in the down town area. In google map, I see the walking from Maritime landmark historic park point to Fisherman's Wharf takes 9 minutes but the car takes 8 minutes. Walking or driving in that area almost take the same amount of minutes. That is the day before Thanksgiving. Not a very crowded day!